I left Montreal having had two mind-blowing food experiences. 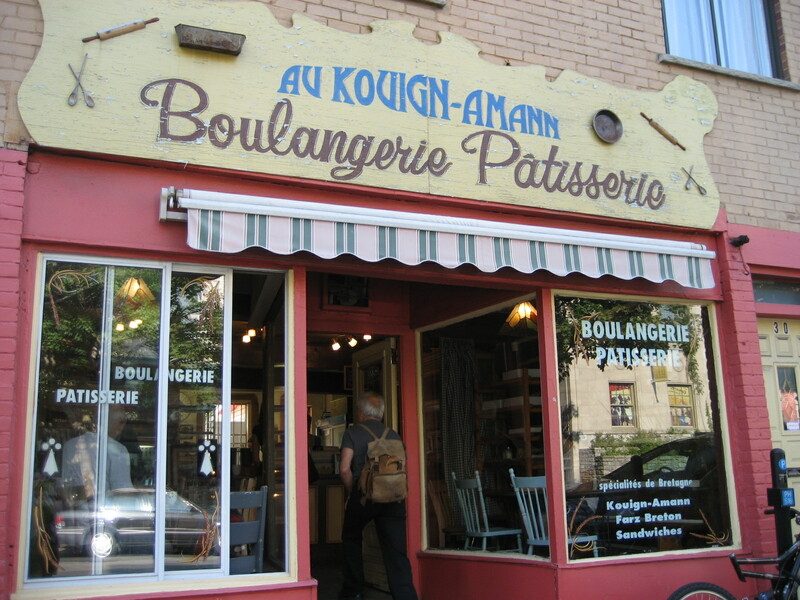 The first of these two was at Patisserie au Kouign-Amann. I read about the patisserie on Serious Eats, which proclaimed the namesake pastry “the best use of butter.” The kouign amann was not out when we stopped in on Thursday morning. Instead there were enormous trays of croissants: plain, almond, and two types of chocolate. Our first time around (we went back twice the next day), we bought one of each. With such a high turnover rate, the croissants are always hot out of the oven, which makes them all the more delicious. 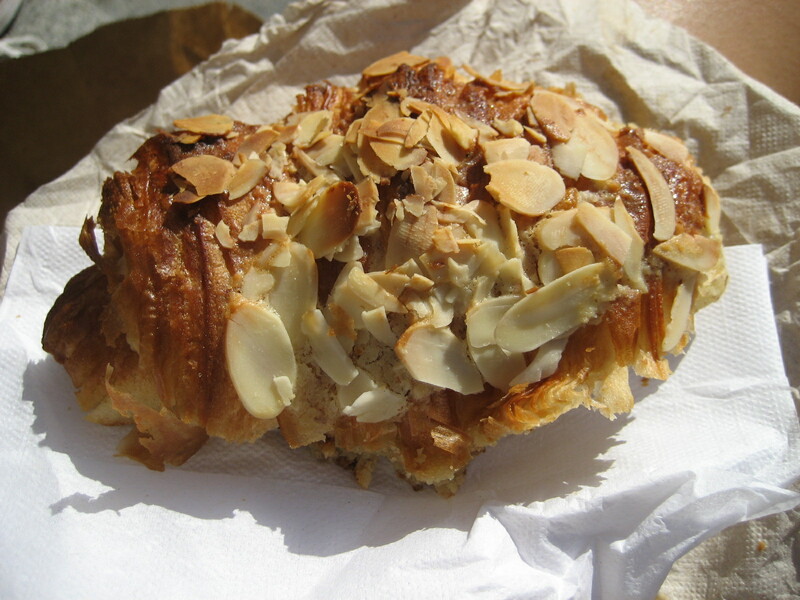 My favorite by far was the almond croissant, pictured above. The inside was insanely buttery and filled with sweet almond paste. 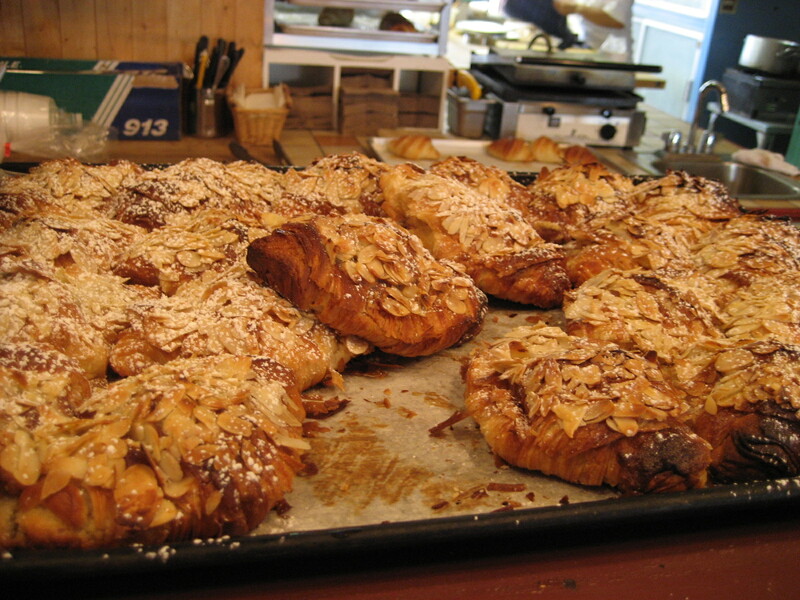 The outside was delicate and crispy and coated with thinly sliced almonds and powdered sugar. It was divine. 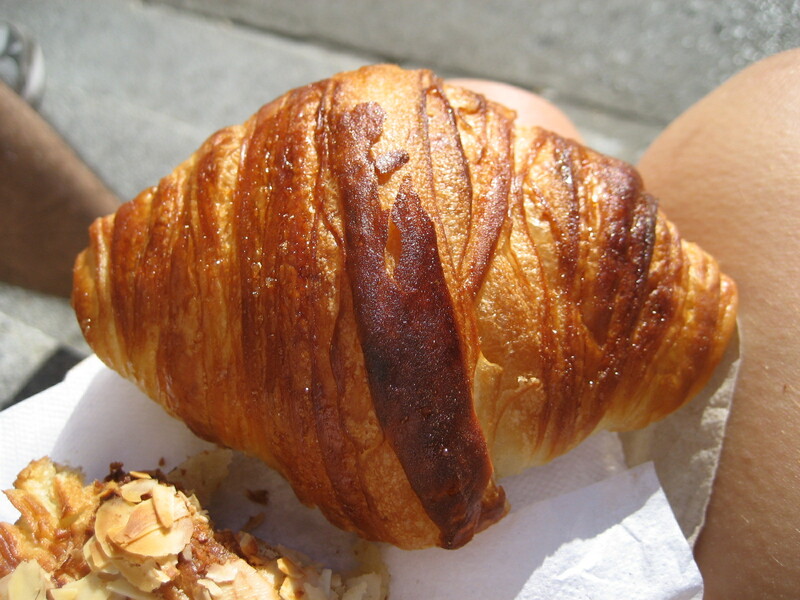 The flaky outside of the plain croissant shattered and the buttery layers inside unraveled when pulled apart. 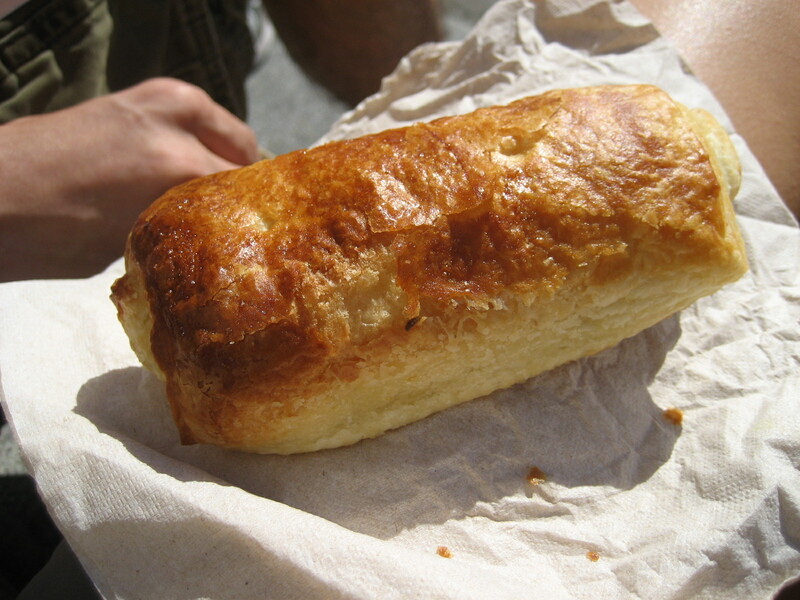 The filling of the chocolate croissant, grainy and melted, oozed out when you bit into it. This was croissant perfection. The taste, texture, and structure were everything you would hope a croissant to be and more. The first thing I thought when I bit into a Kouign-Amann croissant and registered how amazing they were, was, I want these in Boston. I want to be able to eat one of these whenever I want. But on second thought, with our final tally being six chocolate croissants, three almond, and eight plain over a two day period, maybe it is for the best that they remain on the other side of the US-Canadian border. 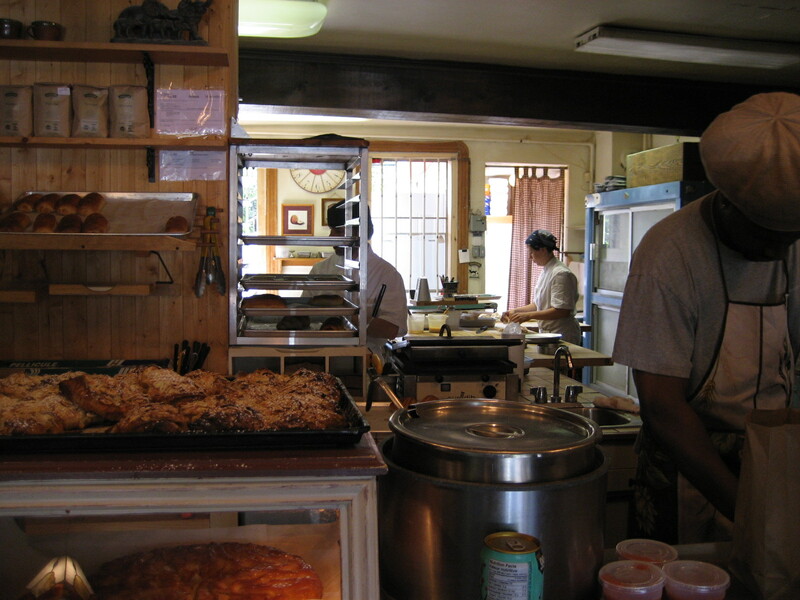 This entry was posted in Reviews, Travels and tagged bakeries, croissant, Montreal, Travels. Bookmark the permalink.